The U.K. ‘s Political World View advises that a senior source advised that Sarah Palin will announce her ” in to win” 2012 presidential election campaign ” in coming days”. With the just released three minute, all but campaign video highlights from her bus tour, the bus tour itself, the indication of a further tour through South Carolina and Iowa-Blind Bill himself could see she is going to run. Further under the radar has been the setting up of de facto Palin campaign committee’s in states across the nation and the waiting for the two anti-Palin books to have come out and the release of the emails from her time as Governor in case there was any fall out which might have damaged or distracted from a campaign announcement. The books were just rehashes of things which have been hashed and were dismissed straight away.especially the ‘insider” book which was lampooned as a bitter revenge sort of tome. That they were commercial flops proves the point. The emails have not only had no “smoking gun revelations but have, to the utter chagrin of the media, been a disaster for the press especially and have pained Palin in a sympathetic light whilst confirming her complaints about them media to the public. I believe all the indications are that Palin will announce in June for the reasons given here but with the Sudan trip coming in July that may be the month. 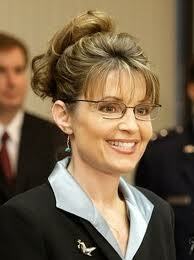 Sarah Palin is to announce that she will stand as a candidate in the 2012 elections, PoliticalWorldView understands. Palin will end months of speculation by confirming that she will challenge the incumbent Barack Obama for the presidency and will fight a campaign promising to restore America’s image abroad and to dramatically improve the economy. PoliticalWorldView will update you on this story as developments occur. Some left wing bloggers may be starting to realize that the Palin emails they fought relentlessly to have released are not the silver bullets they had hoped for to use to destroy the object of their hatred. Information contained in the documents, in fact, provides contradictory evidence to one of the many myths they have perpetuated about Sarah Palin. The governor told her fish and game commissioner in blunt terms that she opposed using state helicopters to hunt wolves and preferred paying private hunters. “We have to act quickly on this as predators are acting quickly and rural families face ridiculous situation of being forced to import more beef instead of feeding their families our healthy staple of alaskan game. Nonsense. Unacceptable – and not on my watch,” she said. Her source of information? “Todd interviewed buddies who live out there… Some confirmation that state intervention isn’t first choice w/the locals,” Palin said.”We need to incentivize here,” including providing money for trappers. Governor Palin did indeed strongly support predator control, and she clearly favored paying hunters a bounty to keep the wolf population in check, but the image of her personally shooting the predators from aircraft has finally been shot down. The emails also show that her motivation for keeping the wolf population at manageable levels was her concern for the welfare of Alaska’s rural families who depend so heavily on caribou and moose, the wolves’ prey, for food and warm clothing. Ashley Judd, please pick up the red phone. It’s Defenders of Wildlife on the line, and they’re in panic mode. The media went crazy thinking they were going to find a smoking gun on Governor Palin by forcing the State of Alaska to release 24,199 pages of email communications during her time in office. They were wrong and have admitted as much. After the media spent so much time and effort, they discovered no “bombshells,” which of course they were hoping for all along…. We need to gather links from the email database that prove what kind of leader Governor Palin really is. We need to find the stuff the media doesn’t want the public to know about. We want to show the stuff they aren’t reporting but is still available online. The media wanted to “expose” what kind of executive Governor Palin was while in office… So, let us oblige them! We need your help collecting and archiving excerpts. Read more here about how you can get involved. We encourage everyone to join in. We’ll link to the finished results here. Both MSNBC and CNN’s political teams must have been salivating in anticipation of the release of the mass of emails from Palin’s time as Alaska’s Governor. Surely there would be any number of “smoking guns” and the liberal media could finally, finally, put an end to the person they hate with a vengeance. But, once again Palin wins and they lose. This was supposed to be the end times for Palin what with two books including a “tell all” from a former aid coming out attacking her, the emails, and the media blowing up the ridiculous Paul Revere saga, but the media winds up looking like buffoons. At MSNBC’s “Hardball,” Chris Mathews had a team member, Mike Isikoff, in Alaska wading through the 26000 or so emails (poor man) and, surely to Matthews’ disappointment, had nothing unduly negative to say. In fact, he ended up by praising her early work as Governor. “She was known as a reformer and worked with the democrats against the oil companies.” This is not what Matthews expected to hear no doubt. William Jacobson is maintaining a linked list of headlines showing how the media is reporting as they sift through Gov. Palin’s emails. But to the anchor’s disappointment, Griffin reports that as he sifts through the emails what he was seeing is a “hard working governor, working hard for the state of Alaska.” When the anchor asks if Griffen has uncovered any juicy tidbits to support the charge that Gov. Palin is thin skinned, the reporters replied that many times the governor defected criticism meant for her staff onto herself. Emails like those, Griffin says, show Sarah Palin to be quite a different person from the negative stereotype the left and many in the media have created of her. On Hardball, psychic Chris Matthews advised that not only was Palin too dumb to run for president “I think that will stop her running for president-not knowing anything”-absolutely nothing about anything at all it appears, one wonders how she knows which side of the bed to get out of in the morning. Being totally dumb however has not, it seems, precluded Palin from having some degree of innate Machiavellian animal cunning. Apparently, since she can’t be president she can be leader of the opposition-a role usually held in a parliamentary system, but her innate cunning will somehow overcome this lack in the American system. To achieve this titular role she will have to engineer keeping President Obama in office. How this will be accomplished is not made clear, but perhaps her innate cunning is too deep and subtle for the Hardball crew. It seems to have something to do with endorsing-or not, Rick Perry (who is not even a candidate as yet, if ever) or perhaps sabotaging whoever the GOP nominee is somehow. Matthews is not only gifted with the ability to read Palin’s mind, no small feat as she herself has indicated she has not decided if she will run or not, but he has divined her inner thinking to the level of perceiving that she might want to keep Obama in office. The depths of Palin Derangement Syndrome has apparently not been plumbed and has found a new mechanism of expression. Not only has every debatable real fact about her been used and discarded, but the left is now delving into the supernatural to create whatever narrative du jour suits their PDS-afflicted minds. Clearly, rather than the effect they expected -Palin destroyed – the media is, day by day, destroying their last shred of credibility. Romney’s Skipping Iowa “Values State” For N.Hampshire “Economics State” Misreads Countries Mood. Mitt Romney announced he will not participate in the mid-August Iowa Ames Straw Poll. It will be recalled that in the last campaign Romney spent a massive amount and won the Ames poll but still did not win the later Iowa caucus with Huckabee, an evangelical Christian, being the surprise winner in this strongly evangelical state. On a purely political basis his not participating need not necessarily affect his overall chances of winning the nomination-McCain came in third in Iowa but went on to win eventually. But there is danger for Romney if e.g. Pawlenty does extremely well in the Ames poll which would give him substantial impetus towards winning the caucus. That could be blunted if, as expected Romney did very well in New Hampshire, which is up next after Iowa and, presuming they are the two main contenders, all the marbles would be in play in South Carolina where, being a Tea Party, evangelical state, Pawlenty might have the advantage. Political analysts have framed the Iowa situation as Romney’s team seeing it as a “values state” whereas New Hampshire is seen as an “economic issues state.” Thus, in that scenario Romney is better of playing to his perceived strengths in economic matters with the realization that those strengths, and his undoubted financial resources may not matter in Iowa and it is best to avoid a loss there whilst putting every effort into New Hampshire for a crushing win. However, this may be a, perhaps fatal, misreading of the countries mood. Certainly there is a need for an economic prescription, but any renewal of America must be two pronged. One prong is to renew America’s trust in financial institution’s and government. the other is to restore the economy with a renewal of the spirit of productive entrepreneurship. Sarah Palin represents the attitude that both prongs need to be implemented-the Reagan prescription and if she chooses to run could well be formidable in Iowa and South Carolina. Romney, by bypassing the “values state with perhaps the moral emphasis during a campaign there may be giving up the opportunity to put his stamp on both aspects of the truly conservative campaign that would ensure the entire base turns out for the general election. This very act of by passing Iowa may in itself be the first test of the moral character of Romney if it is perceived that purely political expediency is more important to him than the moral/economic balance. The Iowa GOP Chairman has expressed his disappointment at Romney not participating in the Ames poll. An Influential member of Tea Party has made it clear that if Romney wins the nomination their supporters may not turn out in 2012 which might well doom his campaign.He has the opportunity to turn that attitude around by emphasising the two prongs needed to get the base inspired-as Palin could. By bypassing Ames he has perhaps doomed not only his nomination, but if he received that then his chances for the Presidency. The bastion of establishment probity and respect the Christian Science Monitor has been running a continuous commentary on the just released Palin emails from her time as Governor of Alaska. On state business, a quick read of the first batch of e-mails scanned and put online at the nonprofit journalistic site ProPublica.org does show that Ms. Palin was quite worked up over the plight of a state-owned dairy that was losing money and in deep trouble when she took office. On family stuff, for instance, the big e-mail dump reveals the startling news that on Feb. 28, 2007, Todd Palin’s state-supplied assistant asked him to send Piper’s skates and helmet down to Juneau because she had ice skating lessons the following week in school. A Juneau snowmobile club sent along an e-mail lobbying for Todd to join its ranks. Friends sent then-Governor Palin notes pushing their favorite candidates for Fish Board. Ice Alaska asked if Governor Palin would be interested in taking part in an on-ice awards ceremony.. The world awaits with bated breath what further incredible examples of the terrible, shocking emails contain.The media has in one fell swoop thrown off any hint of left wing bias, and hate towards the Palins a Pulitzer prize would not be enough for the Monitor.